Speaking in an interview with Catholic charity Aid to the Church in Need ACN), Father Sandro Faedi, apostolic administrator of Tete, described how people cried for help as the flood waters came towards them. 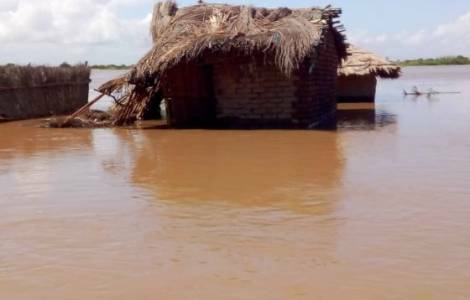 Father Faedi told ACN that the region, which is now mostly under water, has “no telephone, communications and no drinking water”, as 125 mile-per-hour winds, heavy rains, and flooded rivers continue to destroy the country’s infrastructure. Mozambique on March 20, started three days of mourning for the victims. “Once again we thank you for your generosity and we will keep you informed.